Joanna Rakoff wasn’t a Salinger nut when she snagged a job as assistant in the literary agency that represented the world famous author. In fact, in the early days when she was meticulously briefed on all things Jerry, as he was known, she thought their celebrity writer was Jerry Seinfeld. As My Salinger Year, her clever and frequently very funny memoir, reveals, she was desperate to be part of the seemingly glamorous world of publishing. Despite being a post grad she was so keen to get her toe in the door she took the first job offered, working for peanuts as a secretary. Much of her time was spent producing and amending novel-length contracts on an ancient manual typewriter and fending off fans. And it is these letters that provide the most delightful strand running through Rakoff’s book. And of course, she can’t help herself. Every once in a while she has a secretarial melt down and sends a reply in her own voice. Rarely does it prove a success. Apparently Rakoff later made a radio documentary with the BBC about her quest to make contact with the writers of her favourite Salinger letters. My Salinger Year is more than just a series of amusing anecdotes about dealing with one of the world’s most famous authors. 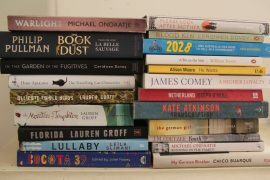 It’s also a witty and sometimes sad glimpse inside the threadbare existence of a young woman besotted with books caught up in a haphazard personal relationship that when they drift apart make her question whether they were ever really together. It gives a fascinating glimpse into the workings of the publishing industry on the cusp of its plunge into the digital age with its contradictory priorities. And casts new light on a man who was never anything less than good humoured and pleasant. But who wrote about loss with such poignancy that eventually he had to cut himself off from his legions of followers because he could no longer bear the burden of their shared emotion. 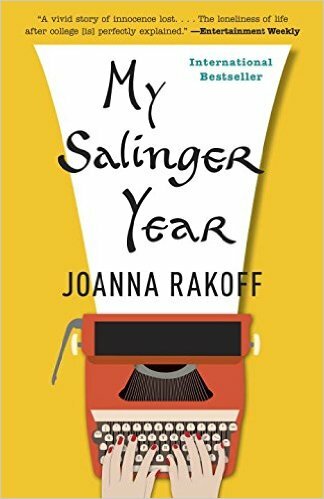 My Salinger Year by Joanna Rakoff is published by Bloomsbury. Rakoff is a journalist, poet and author. Her book A Fortunate Age won the Goldberg Prize for Fiction.